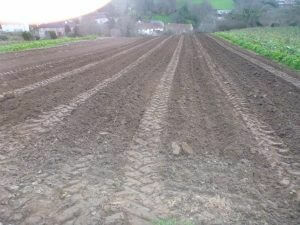 Last week we were fortunate to have at least two days when it didn’t rain so it was dry enough for the new potatoe bed to be prepared. We then finally managed to get the potatoes out of the storage sacks and into the ground, just before the next deluge arrived! However, they are now fleeced and hopefully, with the ground now around 8 degrees C, they will soon be growing. With Easter early this year it’s unlikely that they will be available then, but hopefully it won’t be too long afterwards. 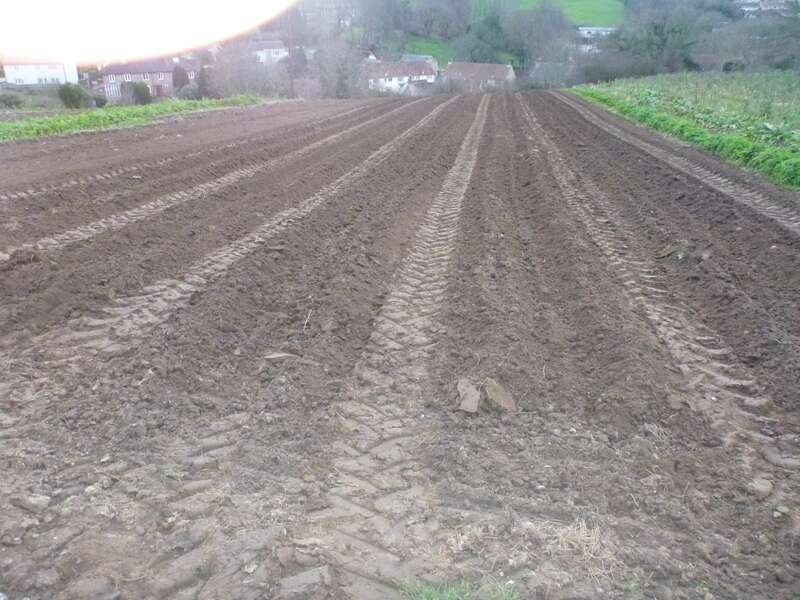 With all the rain which we have had subsequently, nearly 4″ on Saturday alone, everything is extremely muddy and digging carrots and parsnips this week has been a real challenge. However, everything for this week is now safely harvested and we are looking forward to Bridport Farmer’s Market on Saturday, hopefully the weather will be kind.